Sometimes your week finds a way to summarise itself at the end. Bringing together a whole load of apparently unrelated events into a theme and common thread. This is the story of a week like that, with its fils rouge. A potpourri of stimuli coming together, thanks to a new business partner. In our case, the wonderful Rick Rubin, doyen of rap and hiphop. Makin it Rain….More like a Hurricane! To prepare for a meeting, I did, as usual, my deep research. Old articles and videos. Wikipedia. Social posts. (PS: anyone these days not super prepared for an interview, a meeting, a sales pitch has only themselves to blame; the richness of useful context is unending). I came across a video of Rick, interviewing rapper Kendrick Lamar. and want to engage in direct authentic conversations. Some say this is a generational thing. That the under 35yo, in some way, has a more acute smell test for BS. I just think you know when you are being sold, and when it’s genuine. The Albachiara week started in the middle of this newer generation, teaching a sports management MBA course. Our didactic material is very focussed on personal interaction and role playing, which naturally allows you to form an opinion of your students. It is amazing how authentic passion and communication comes across, as very different from those painting by numbers. You can tell immediately those that feel something, especially in sport and music. There was one participant, from a very very impressive grouping to be fair, from Rome. He had spent a year working as a barman in Rose Street Edinburgh, to pay for the course. Totally inexplicably I felt, he had become a Rangers season ticker holder, travelling to Glasgow to see them. He understood all the histories, all the anti catholic songs, the whole nine yards. But he liked them and Gerrard. He was a Lazio fan and the Gascoigne link was the clincher. I realised he was right. My grandfather, a certain Gino Pieraccini, who had emigrated to Scotland decades before, had equally chosen to enjoy his football at Ibrox. He bought his season book for over 40 years and that was his club. This Laziale, whilst often imprecise about the sports business thru inexperience, was unfailingly “real” in his contributions to class. His voice was important to us teaching. Authenticity carries weight every day; and twice on a Sunday. with 3 of the leading practitioners around today. This will be presented as part of the output on the Are You Not Entertained Albachiara podcast later this month. Throughout a discussion around what sports content actually attracts fan and sponsors, the same message came through. People are attracted by genuine sentiments, even if they don’t agree with them. And, conversely, they get turned off by “staged”. The absurdity of vanity metrics or “reach” that mean little, if not in direct engaged conversations. 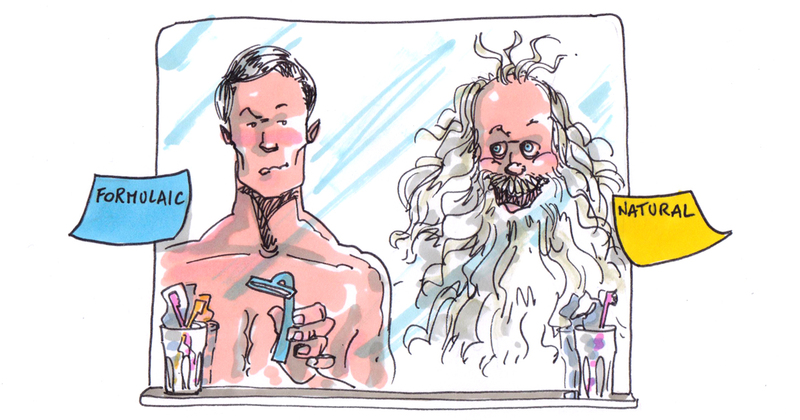 The Gilette masculinity ad flared up around midweek, I think. Was it authentic or staged? Was it natural or formulaic? To your author, many of the points made were valid. The clip of the woman in the Boardroom being patronised was – as I shamefully admit – utterly true. But this notwithstanding, the ad didn’t do it for me. It seems a ticklist of banality to score points and get down with the cool kids. As a man, and in fact a lifelong Gilette user, I felt nothing. It didn’t tell me in “defining masculinity” how and when for example a man has to walk away from a conflict, or when he has still to protect his family. Because that’s still his role. The Italians even have a legal term for it: padre di famiglia. Whether PC or not, being a man is complex, full of specific responsibility. His role as husband and father is unique. Whether it is bigger to drag your kid away from the insults, directed at him, of an adult (at a football match), or stand up for him physically, is a very tough call. Many of us have been there. It’s not about feel good slogans about modern masculinity. So, sorry Gilette, you failed miserably for me. It was staged formulaic. Oh, and, what do you call that Shaving Club product? It sounds good. again, challenged a nation to adjudicate what is Ethos. What is ethical? What is still “real”, in a sport dominated by filthy lucre and short-termism? The black and white inflexibility of Bielsa is easy to criticise, but his actions this week resonated, whether you agree or not. It was overwhelmingly a much needed breath of fresh air. I reissued an old podcast to celebrate it, and I felt smart. My own son told me that was not cool. It was stale and auto-celebratory. Boom! As an aside, anyone wanting to navigate a content strategy in 2019, better have kids! If you don’t, adopt some. Because it is an education everyday; in what is seen by them as a “dead meme”, as opposed to “still a thing”. I’ll avoid dead meme podcasts in the future. And increase the voltage on my BS radar. in the word of startups and pitches. How do you sell vision and not come across as fake? It seems that “authentic” and real value is often now unwelcome; lost in a world of “narrative”. It seems that micro fundamental analysis is no longer a complement to macro visionary strategy. Can you agree with a vision of disruption, but disagree with today’s valuations on all that? Albachiara itself had its own such contradictions, with a client, involved in an IoT (Internet of Things) play. 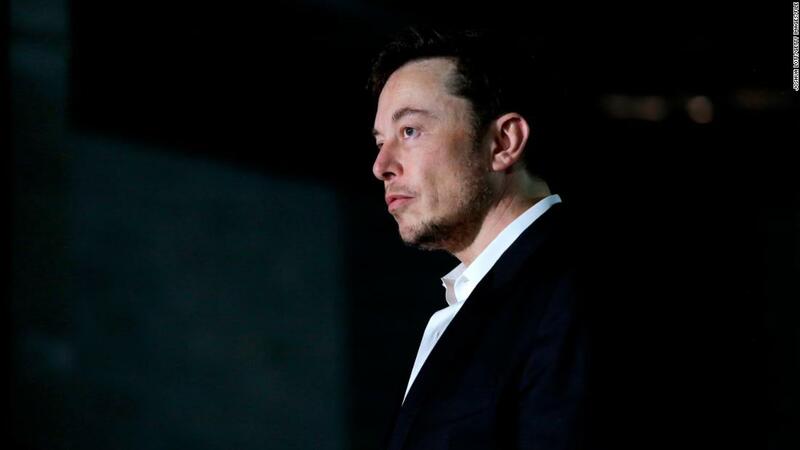 A more public similar example came at the end of the week with the Tesla profit warning. A once in a generation vision narrative, hiding in some eyes a shockingly bad company. We shall see. But It seems the whole Kool Aid narrative around unicorns, FAANGs, is being called out. Apple, Netflix, Facebook. The more the world has become connected, the more we are in the age of the “buyer”. And that buyer wants real and authentic. 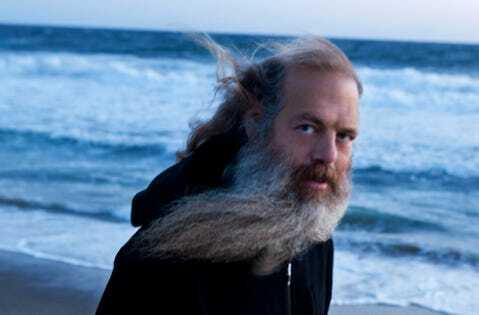 Rick Rubin's goal is to get people to do their best work. In that sense, he is a leader. And as a life-long practitioner of meditation, he has figured out how to affect others the way meditation affects him. It was Flavor Aid, not Kool-Aid, that the deranged leader Jim Jones used to kill 909 cult members in 1978, and it's time to stop besmirching the beloved Kraft Heinz product with this misbegotten phrase. Jim Chanos, one of the biggest Tesla short sellers, is feeling pretty good about his bet against the automaker.